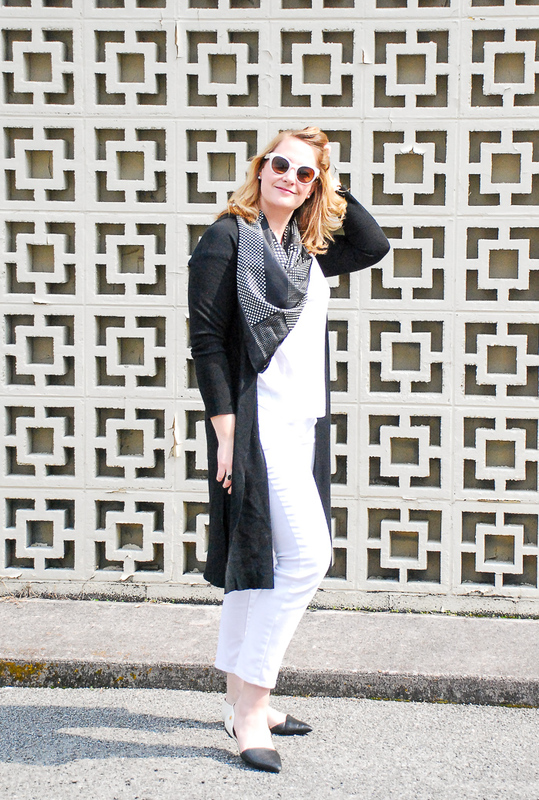 Chic black & white is always a classic duo perfect for spring fashion – throw in some charming polkadots and you’ve got a killer outfit! 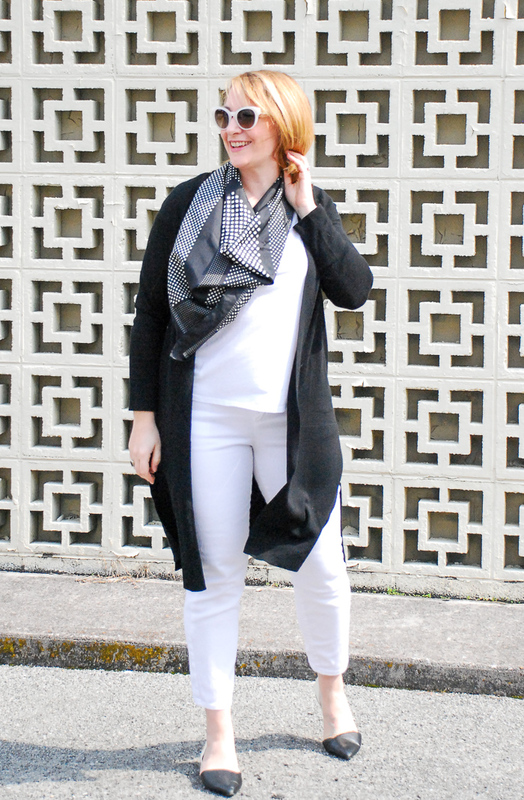 Black & white is always a classic duo, and you can never go wrong with this color combo any time of the year, but for spring I think it is a particularly fresh look, especially if you are not into pastels. There is something about the high contrast that is modern and striking. 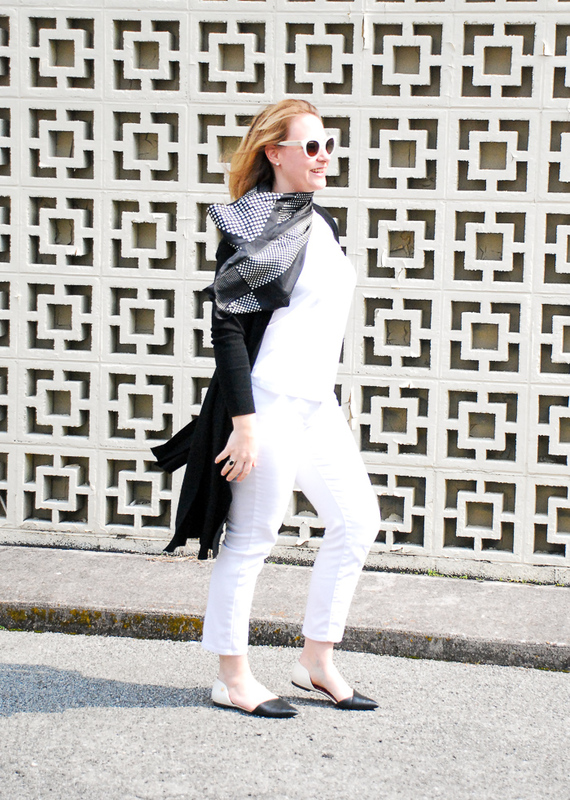 Plus a chic black & white look is so easy to create from pieces you already have in your closet. 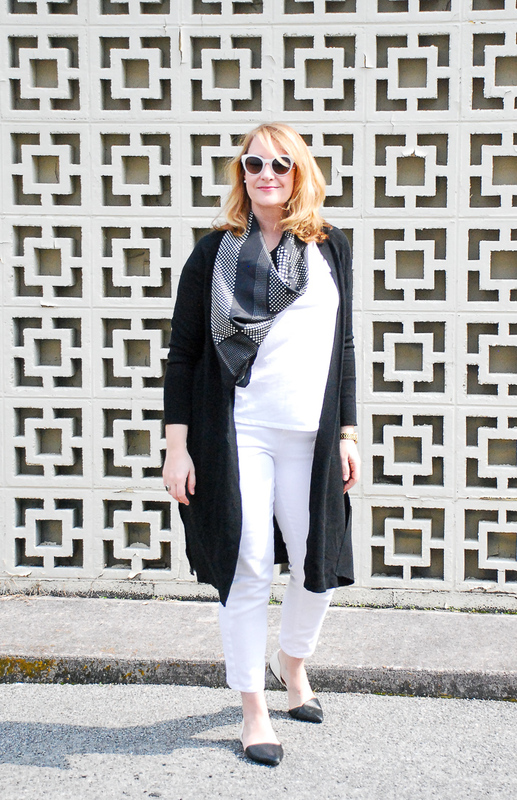 Guaranteed you have a pair of white pants; guaranteed you have a white tee; and guaranteed you have a black cardigan! Toss on an accessory with a black & white print and a pair of cute shoes and you have instant chic! I have been seeing polkadots everywhere this spring, and I love this charming, slightly quaint pattern! It is so versatile, and when done in a classic color scheme like black and white or navy and white this pattern will go with everything. 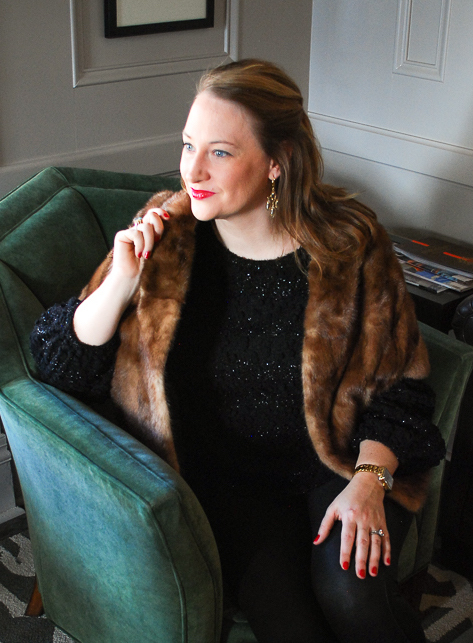 Polkadots are one of my Spring Fashion Essentials, and I selected my favorite picks for this pattern in that post. 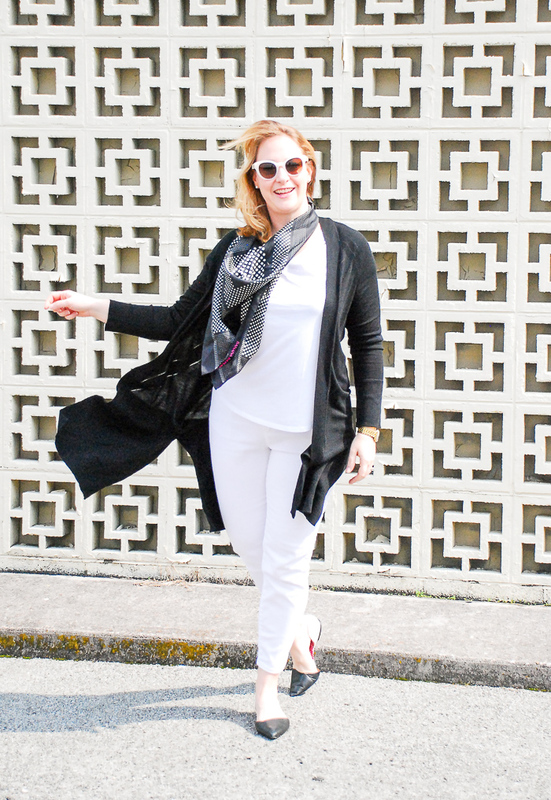 For a more mod take on polkadots opt for a pattern that has varying sizes like the one on my black and white polkadot scarf. 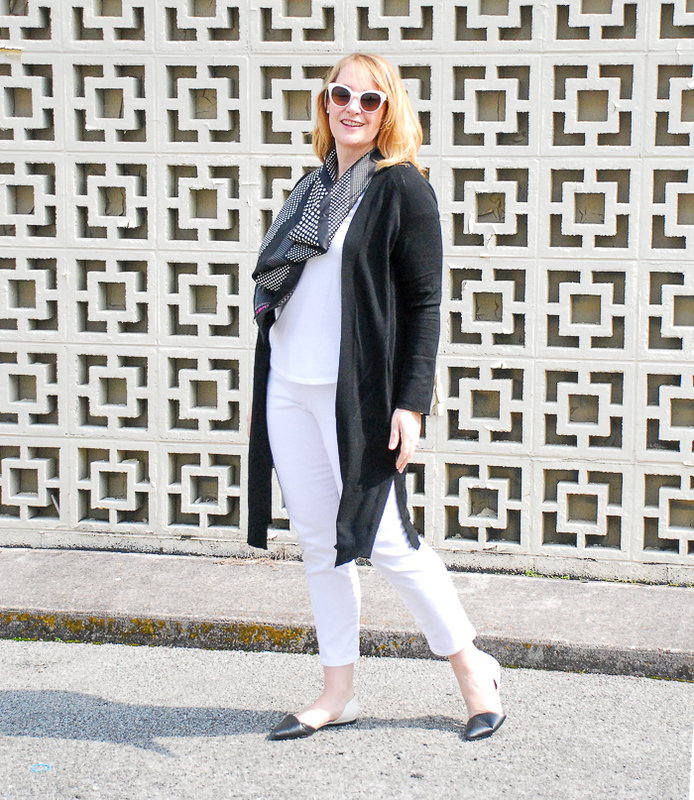 I’m loving my chic black & white look with this long black duster sweater, which I picked up at the Talbots winter sale. They no longer have it in black, so here is another neutral colored duster, a black cashmere blend, and a light weight linen one here.